Wow, what an expedition! 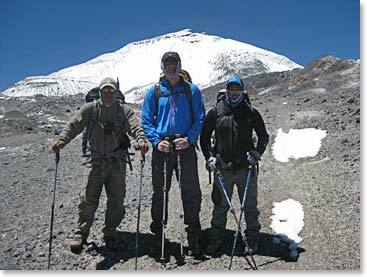 Congratulations to Paul Kitney and his Berg Adventures team for reaching the summit of Ojo del Salado, elevation of 6,893 meters, the second highest peak in the Western Hemisphere! 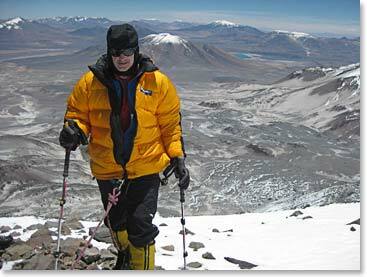 Paul’s climb was an amazing one, challenging, remote and most definitely HIGH. 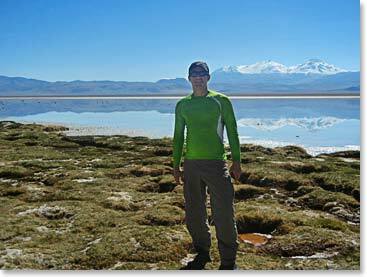 Below is an expedition recap of the amazing adventure Paul and his climbing team had while reaching the summit of Ojos del Salado. 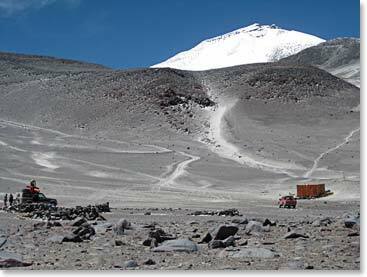 Our team has arrived at Laguna Santa Rosa, at 3800m, our first camp in our 2013 Ojos del Salado Expedition. 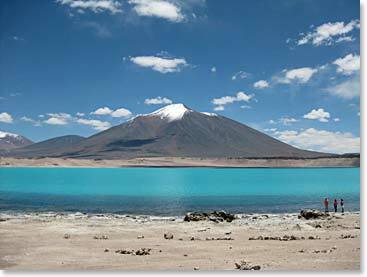 Laguna Santa Rosa is located at Nevado Tres Cruces National Park in the Chilean Atacama Region only 93 miles from the town of Copiapó. 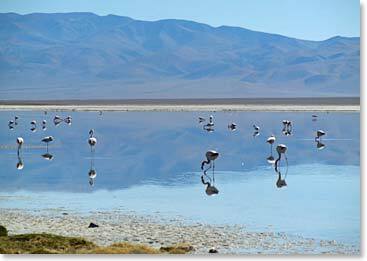 The lagoon is known for its Andean Flamingos, one of the rarest flamingos in the world; the only flamingo species with yellow legs and three-toed feet. Paul with his Ojos team! Laguna Santa Rosa is a great campsite; the Berg Adventures Team will spend 2 acclimatization nights here before moving to the next camp. 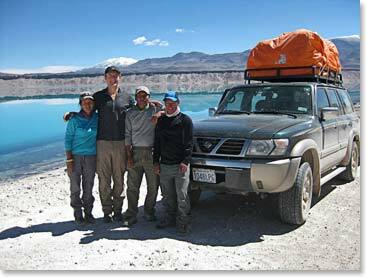 The team drove to Laguna Verde, their base camp for the next few days. They had the pleasant surprise, Laguna Verde is empty; they are the only people around. What a beautiful place to have all to yourself! Congratulations to Paul, Osvi and their team. Enjoy Laguna Verde! 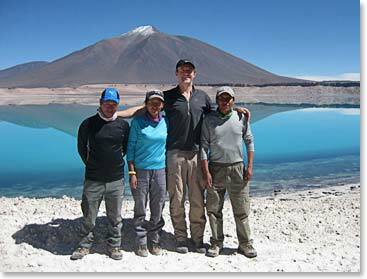 Ojos del Salado Expedition Update! Osvaldo called the Berg Adventures office this morning to report that Paul Kitney and the BAI guide team had climbed to the Western Summit of Mula Muerta Peak at 5,670 meters above sea level. Considering that the team was at sea level only a few days ago this is a remarkable achievement. He said that they only took 6 ½ hours for the round trip from Laguna Verde! He also reported to us that there was very little wind today, unusual conditions from our experience. Past BAI climbing groups will have memories of very high winds on that climb. 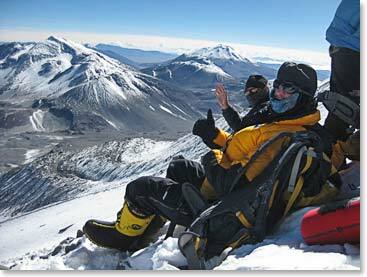 Our congratulations to Paul, Osvi, Sergio and Alex on a great climb. We have been watching the weather reports for the team and reported the weather to Osvaldo by sat phone today: there may be some clouds on Saturday and it may snow by Tuesday, but we expect that the winds will stay down and weather overall will be good in the coming days. 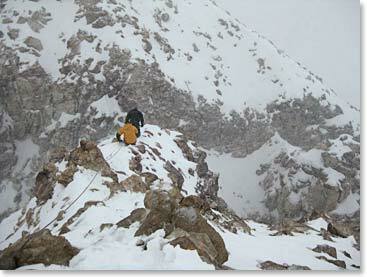 Osvaldo called from High Camp at 1:30 PM local time. Our team arrived and they are settling down. 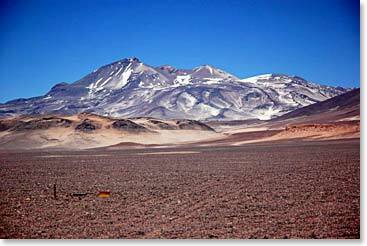 Paul “slept like a baby” last night at Atacama according to him. 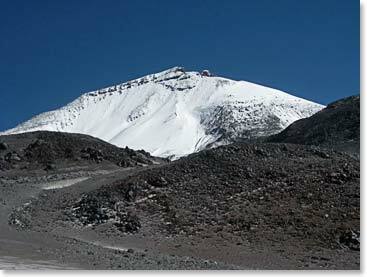 But this afternoon and tonight, resting at nearly 5,900 meters might present more of a challenge. He reported that there was some wind, but not too bad, perhaps 15 km per hour. There were clouds this morning, but the sky is perfectly clear now. At 2:00 AM tomorrow, the team will wake to evaluate their condition and the weather outside and above them on the summit. We wish them a good afternoon at high camp and we will await their next decision. The team looking great and ready to go! Congratulations to the team! 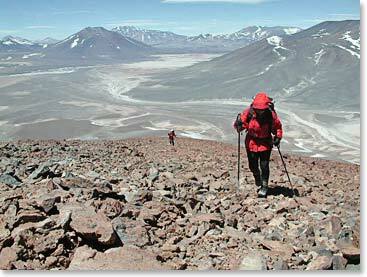 They have reached the summit of Ojos del Salado! Deep snow was only one of the challenges we experienced on Summit Day. 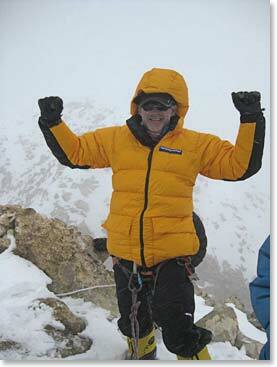 Paul stands proud on the summit of Ojos Del Salado. 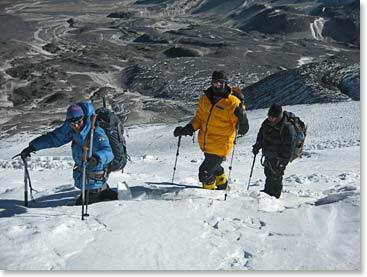 After a long day the team makes their descent to Base Camp. After and exhausting 21 hour summit push, Paul and his team returned to their base camp and drove directly to sea level at Bahia Inglesa resort on the Chilean coast. The top of the Americas to the ocean in a few hours! We know of no place in the world where you can do that kind of elevation change that quickly. Paul called us on Sunday night from the Santiago Airport. He was enjoying a nice steak and some wine before his flight home to Australia. Great job Paul. We have no doubt there are still higher summits in your future! 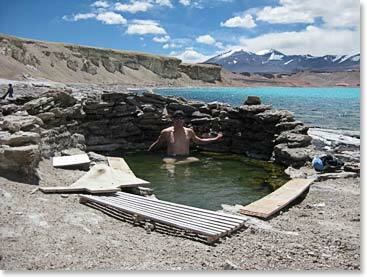 What could be more rewarding then soaking in a natural hot tub! 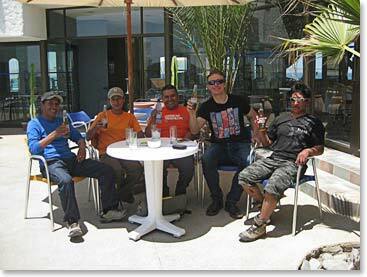 The team enjoying cerveza’s after their climb. Way to go team!